A traditional vision with extraordinary results. 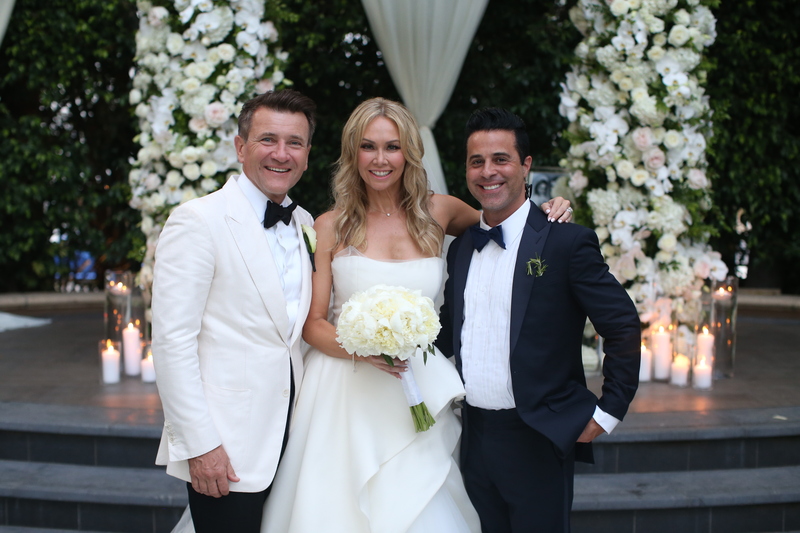 Newlyweds Kym Johnson and Robert Herjavec didn’t have to look too far to find the perfect person to help them plan their wedding. 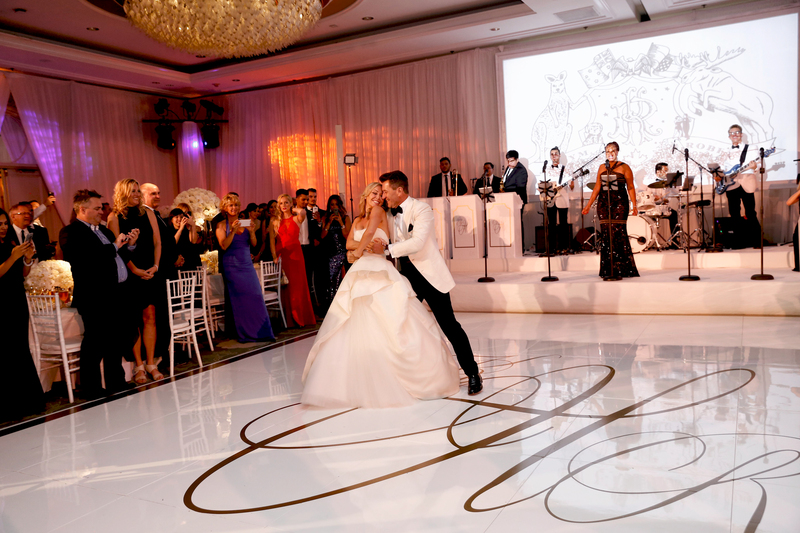 The couple enlisted the help of their close friend, celebrity wedding planner Michael Russo of Michael Russo Events, to orchestrate the incredible affair. 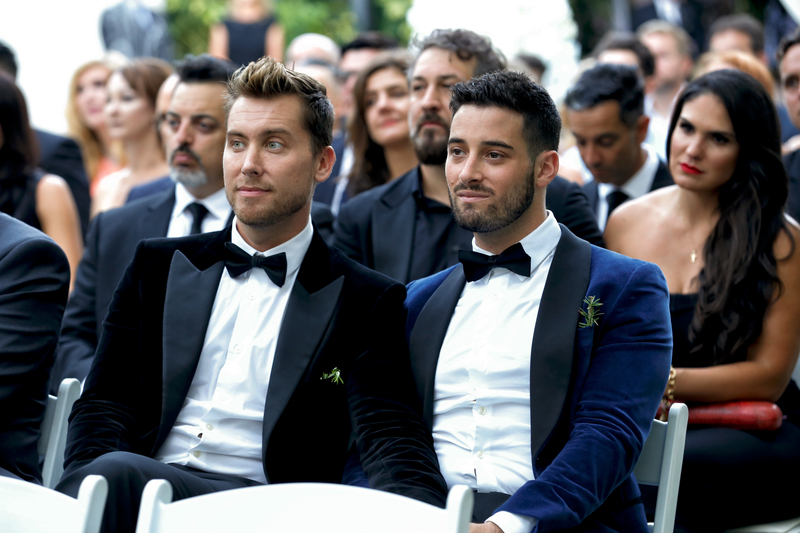 In an exclusive new interview with The Knot, Russo shares behind-the-scenes about the nuptials and more. Russo and Johnson have actually known each other for over a decade after connecting through their mutual friend, Joey Fatone. (At the time, Johnson and Fatone were paired together on season 4 of ABC’s Dancing With the Stars. Though they finished in second place, the bride made a friend for life in Russo.) Hence, it was only natural for Johnson to dial Russo after Herjavec proposed in early 2016. 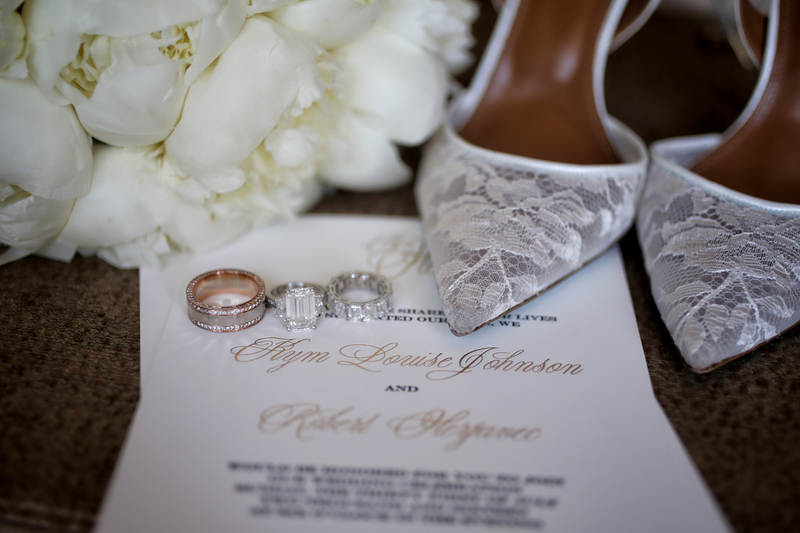 Johnson’s gorgeous engagement ring and the couple’s wedding bands were designed by jeweler Peter Marco. 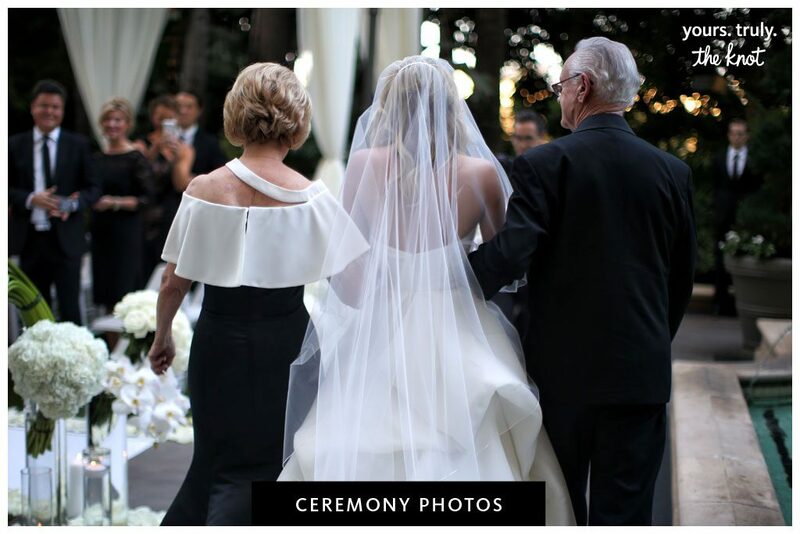 The beautiful bride received the royal treatment from Mercal Naber-Sweiss of Focus On The Bride, who helped with dressing, steaming, and executing any last-minute alterations. 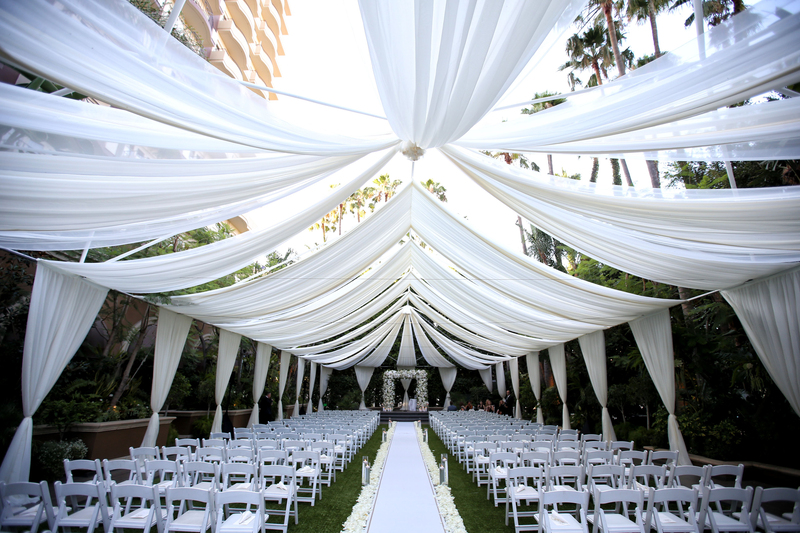 In keeping with tradition, the couple opted not to see each other before the ceremony. 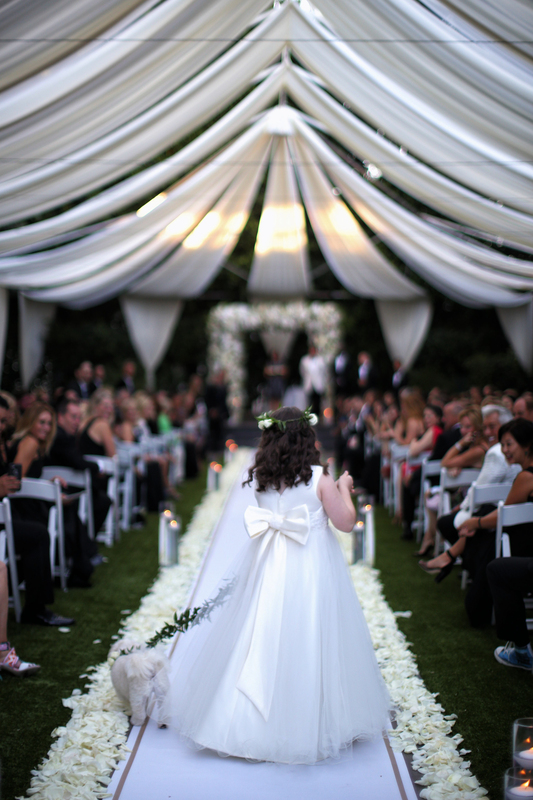 Then, the bride approached the aisle. 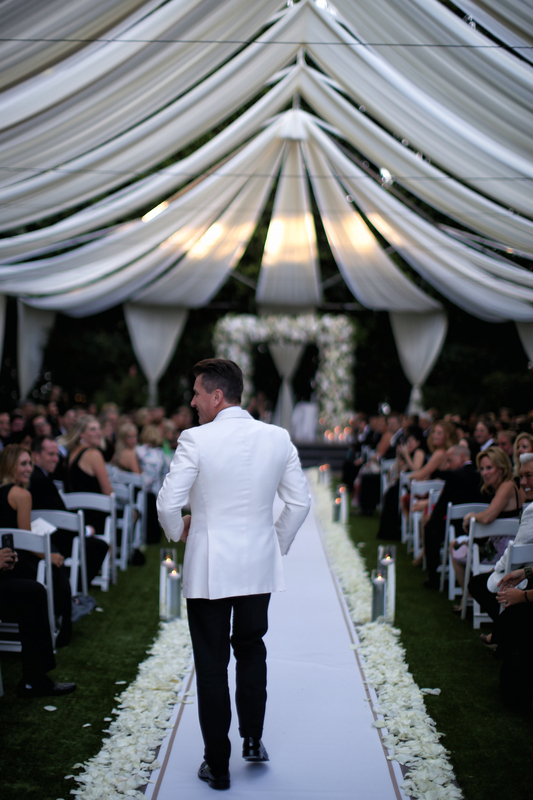 According to Russo, Johnson’s walk down the aisle was captivating, and there was nobody more enchanted in that moment than Herjavec. 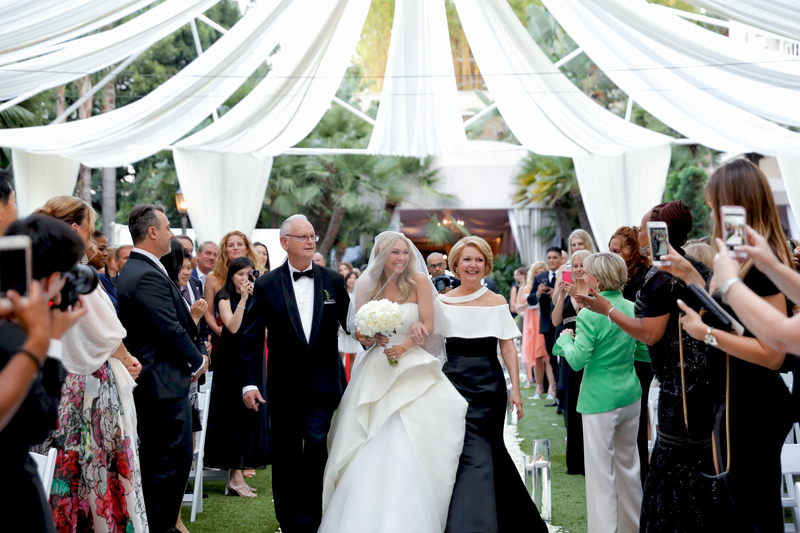 The couple’s planner says the entrepreneur — who looked handsome in Tom Ford — couldn’t take his eyes of the bride when she emerged in her strapless, layered gown by Monique Lhuillier. That wasn’t the only touching moment during the ceremony. 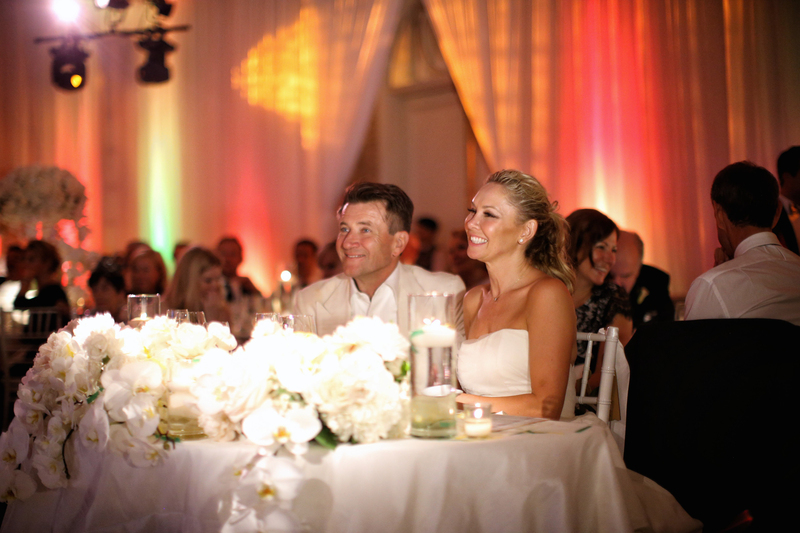 Russo says the couple composed heartfelt vows that were “emotionally-driven” and moving to everyone. 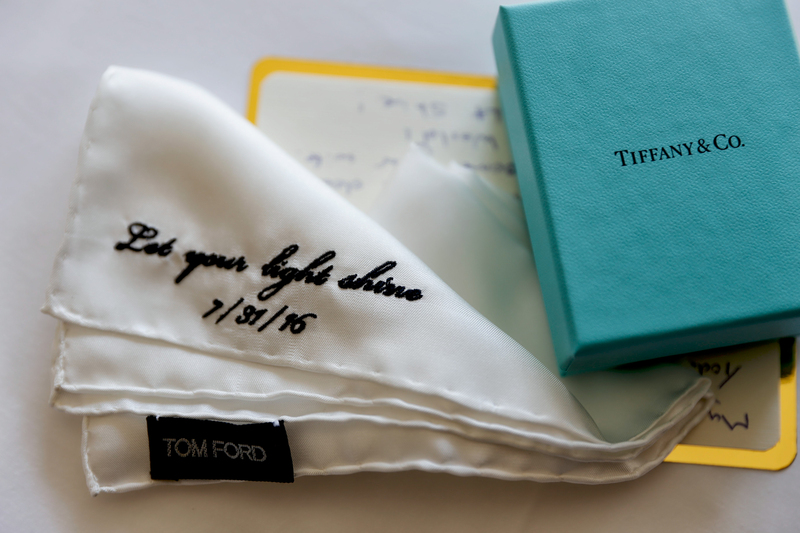 The groom’s vows in particular were emotional for the couple — and their guests. 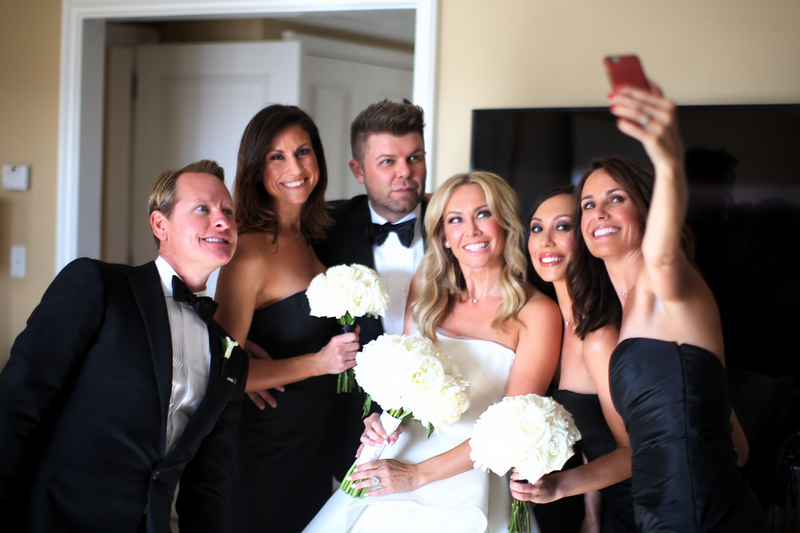 Johnson’s bridesmaids wore strapless, black Monique Lhuillier gowns, while the groomsmen looked sharp in matching Ralph Lauren tuxes, white dress shirts, and bow ties. 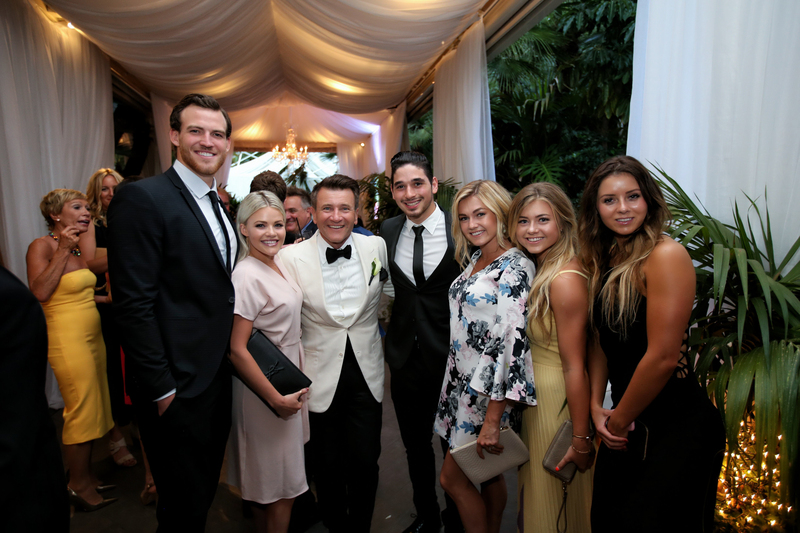 Famous guests included Donny Osmond and Lance Bass. The duo’s wedding custom crest – created by Ceci New York – paid tribute to Johnson’s dog, Lola, and included Australian, Croatian, Canadian, and American components to highlight their diverse backgrounds. 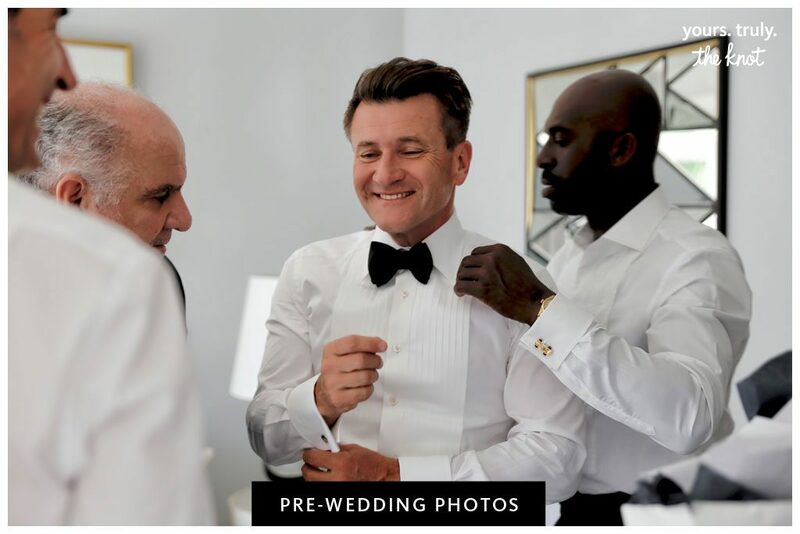 Herjavec, who was born in Croatia, immigrated to Toronto with his family when he was eight years old. 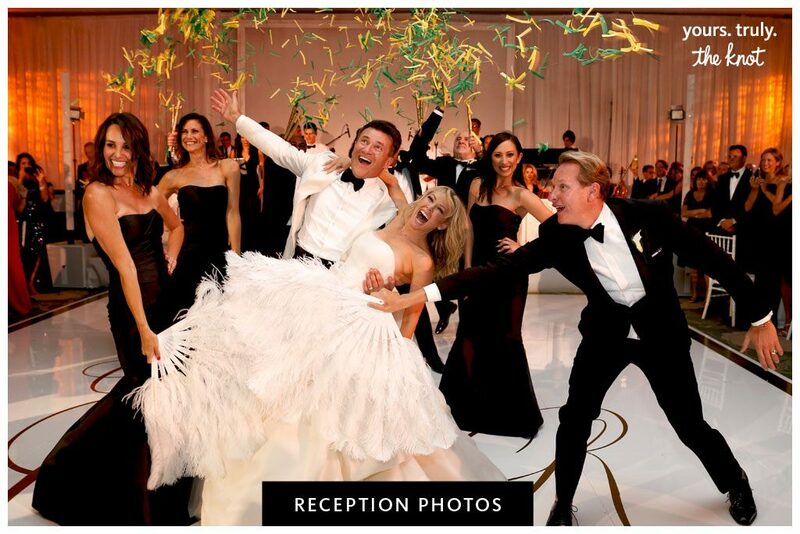 Australian native Johnson moved to America to compete on Dancing With the Stars — and met her now-husband in 2014 when they were matched as partners in season 20. 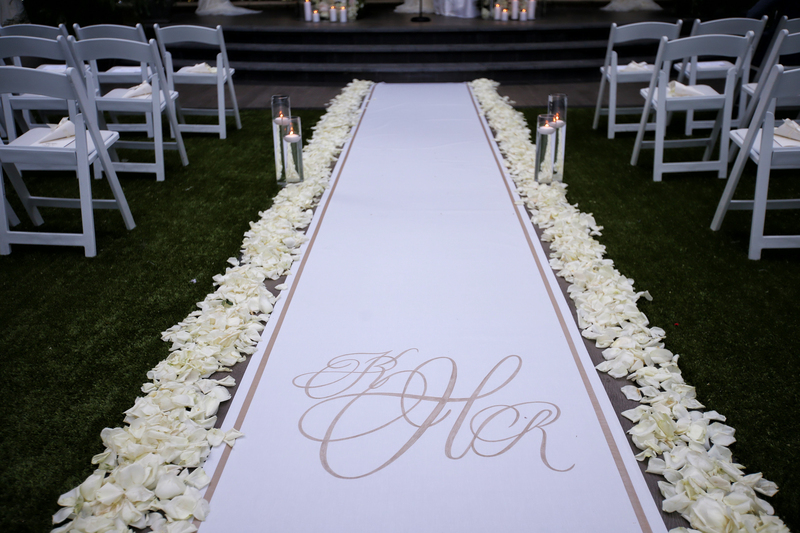 The florals – including white and cream garden roses, orchids, hydrangeas, and peonies with mild hints of gold accents – were provided by Bouqs and designed by Seed Floral. 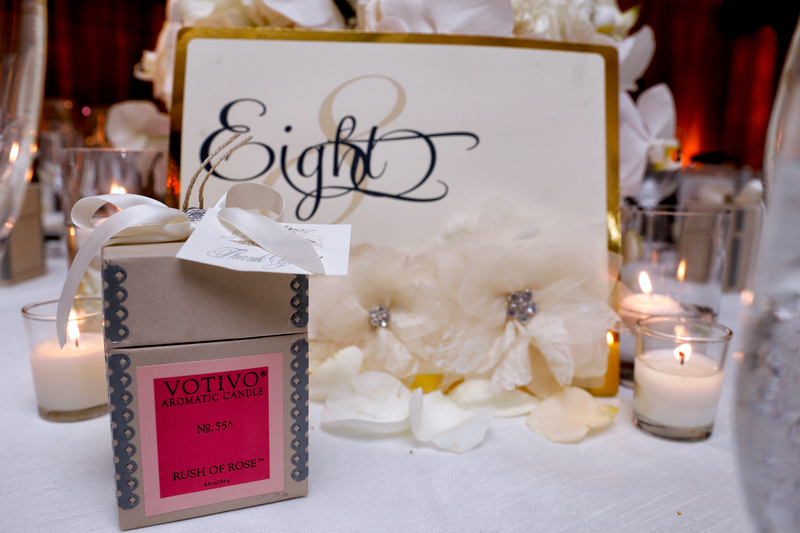 The guests received decorative candles from Votivo, and wedding party gifts included custom monogram hand bags for girls and valet boxes and valet trays for guys (all from Gigi New York). 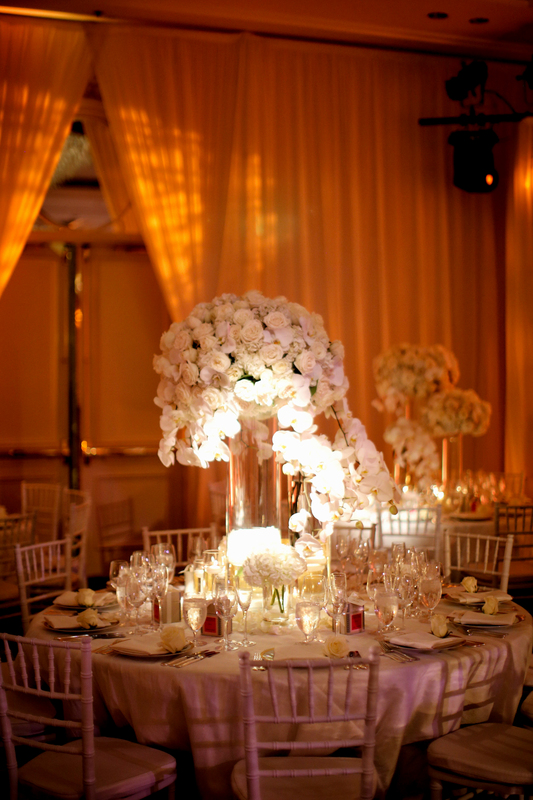 While the bride was intent on creating a classic wedding, the groom focused on the logistics of the day, such as making sure that the catering was top-notch and the guests were preoccupied. 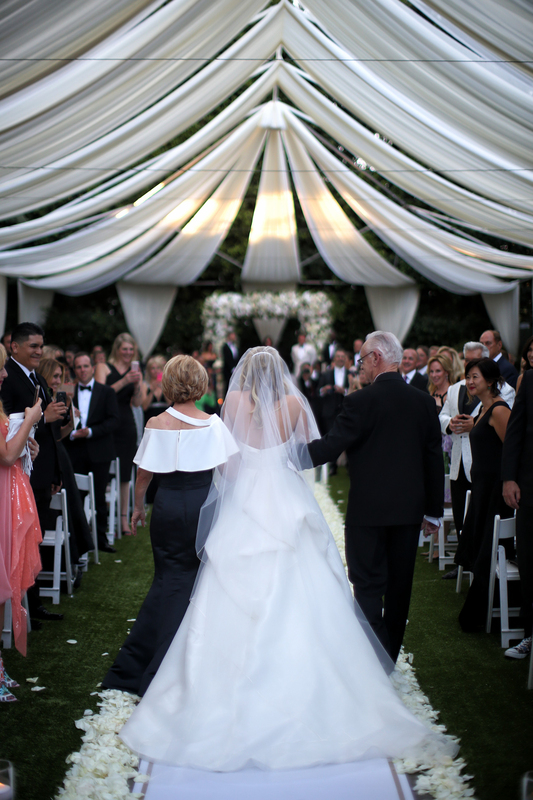 Russo shares that there were “a lot of moving parts” involved, but the most memorable moment from the wedding was the surprises that the newlyweds had organized for each other. Johnson, also the author of the 5-6-7-8 Diet, gifted her new husband with Croatian dancers during the reception. Naturally, he had his own surprise present planned for his love. 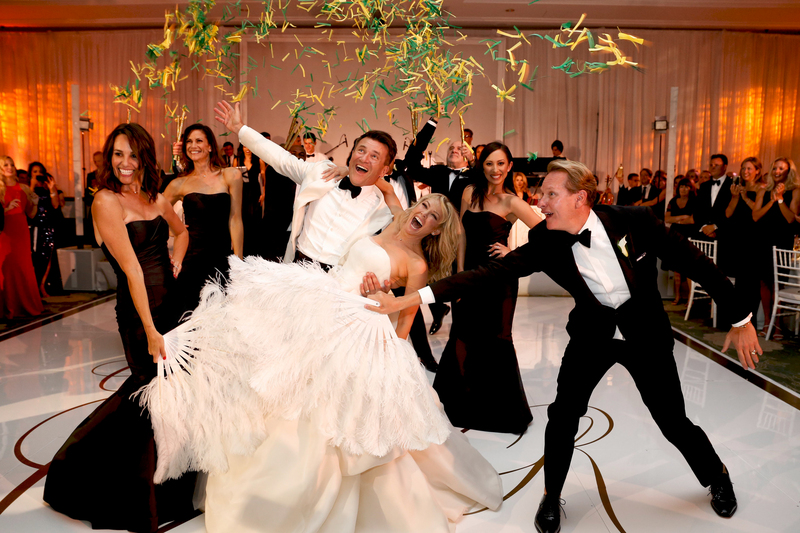 At the end of the night, the bride was stunned when Olivia Newton John made her entrance into the reception hall to wish her a happy birthday. (Johnson turned 40 on August 4). 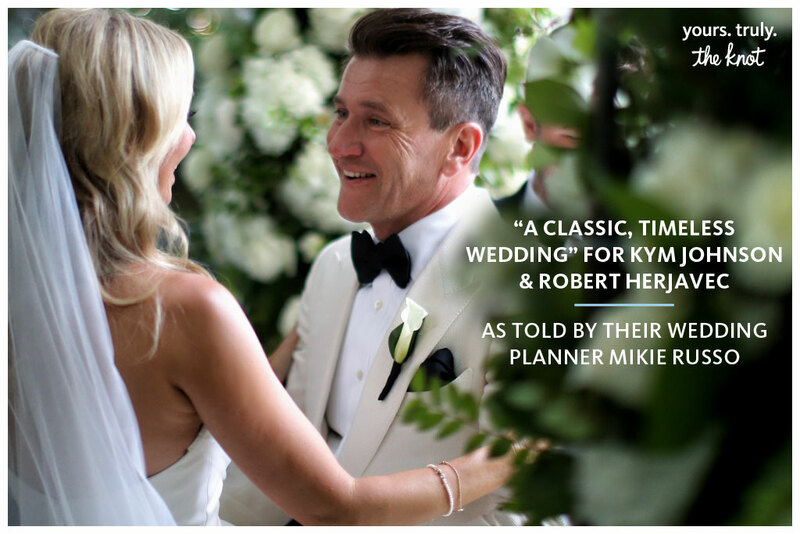 1 Comment on "Kym Johnson, Robert Herjavec’s Wedding Album: Planner Michael Russo Touches on the “Classic and Timeless” Details"